Do I need a conveyancing solicitor when remortgaging? Whether you’re remortgaging to get a better deal, to consolidate debts or to release some equity in your home, we look at when you’ll need a conveyancing solicitor, what they do, which one you should use and how much you’ll have to pay the solicitor to remortgage. The main reason for remortgaging is to reduce your monthly repayments. But you need to make sure your savings outweigh any early redemption fees, arrangement fees, valuation fees and any broker costs. But did you also know you could have to pay legal fees as well? Will I always need a solicitor when I remortgage? You won’t always need a conveyancing solicitor if you remortgage. If you’re just getting an advance (i.e. borrowing more on your existing mortgage deal with your existing lender) then there are no legal charges involved in the transaction, only charges associated with increasing the loan and repayments. 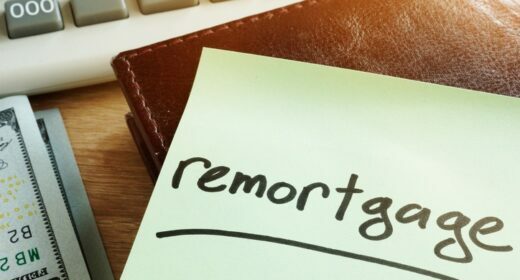 If you remortgage with your current lender, by simply moving to a new rate or deal, it’s considered a “product transfer” and requires no additional legal work. Otherwise, yes, a remortgage will require you to have a solicitor or conveyancer, to help with the legal side of things. Which solicitor should I use for a remortgage? The good news is most lenders will include a free legal package in their remortgage deals, which mean their chosen solicitor will cover the legal requirements. But check that this is actually free! If your chosen lender’s legal package isn’t free, ask if you’re able to shop around. Adding someone to the mortgage – if you’re looking to add a friend or partner when you remortgage, you’ll need to get a solicitor as you are changing the ownership of the property. This is also known as a ‘transfer of equity’. You will need solicitors to amend the deeds for you and help draw up paperwork specifying how you will own the property. You can get quote from conveyancing solicitors that will do this for you here. Removing someone from the mortgage – as in the above point this means that the ownership of the property is changing so a solicitor will be needed to amend the deeds. Remortgaging fees: how much does it cost? As mentioned above, you may not have to pay any legal fees when remortgaging if your new lender covers the costs themselves. Can you add legal fees to your remortgage? The majority of legal fees on remortgages are usually covered by the lender themselves. If there is a charge it will need to be paid upfront and can’t be added onto the new mortgage. Should I use the mortgage lender’s conveyancer? Your chosen mortgage lender may want you to use their chosen solicitor. If it’s free and part of the remortgage deal you will have little choice in this. But, if you are paying for the solicitor then you have the right to shop around for a better deal. Not all lenders work with all conveyancing solicitors. With our quote engine you can select your lender first so you know the conveyancing solicitors we serve you will be eligible to handle your remortgage. What does the conveyancer/solicitor do? The current mortgage – your solicitor will get details of your current mortgage from your existing lender and ask for a redemption statement. This gives details of how much you owe and if there are any exit fees or early repayment charges due. Leasehold checks – A solicitor will check the lease terms and the remaining time left on the lease comply with the new lender’s requirements. Property searches – your new lender may request searches are carried out before they are prepared to lend on a property. Valuation – your new lender will value your property and issue a formal mortgage offer to you and your solicitor. Fine print – your solicitor will check through the terms associated with the mortgage offer and raise any issues with you and the lender. Signature – when you are happy you will sign the new mortgage deed. Registry to make sure nothing has changed on the property deeds since the remortgage process began. Completion – On the day your solicitor receives the mortgage funds from the new lender, they will then pay off your old mortgage and any fees and send any remaining money to you. Registering changes with Land Registry – Once your old lender has confirmed they’ve received the money and discharged their mortgage your solicitor will inform the Land Registry that a remortgage has taken place and update the legal title for your home by registering the new mortgage. How long does conveyancing take when remortgaging? The remortgage process takes one to two months. It is generally quicker if you are remortgaging with the same lender. So if you are thinking of remortgaging before your current deal expires, leave at least two months.